Happy Friday everyone. We have quite a few ministry opportunities coming up in the near future. 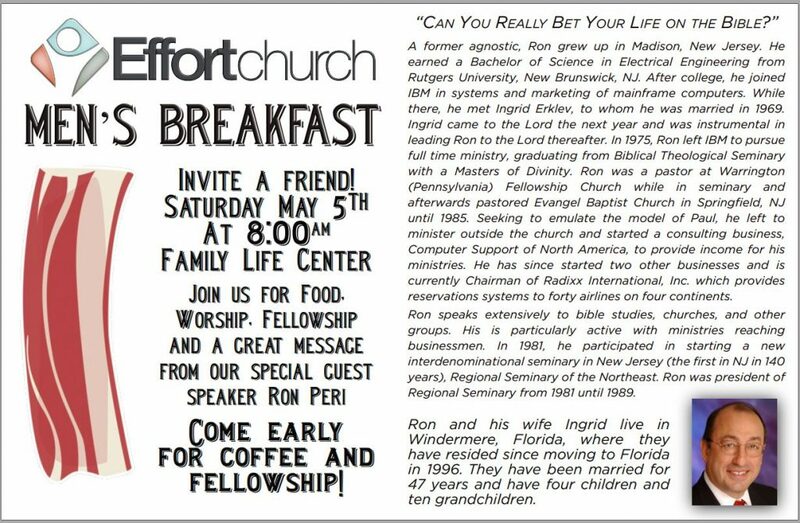 First, we’re hosting a men’s breakfast on May 5th with a special guest speaker, Ron Peri. Ron has pastored churches, taught in seminaries, and started a few businesses along the way. 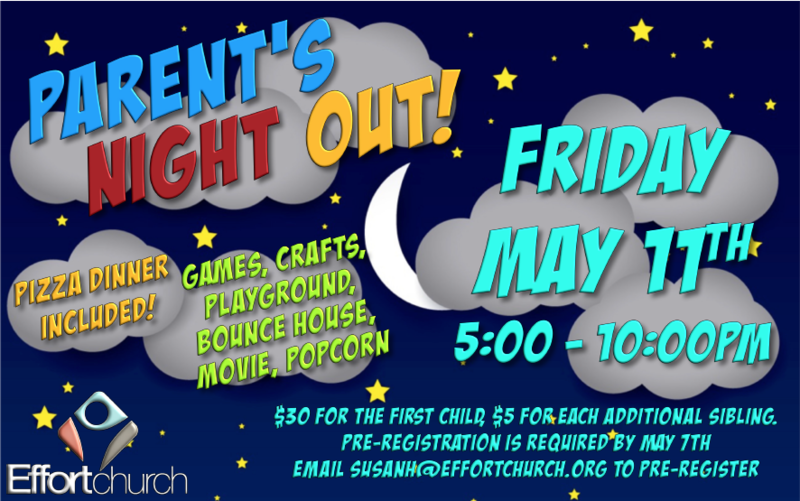 Come hear the story of how God has worked through his life. We also have a booth at Old Farm Day on May 5th. We need some volunteers to work the booth during the day. Please contact Jason Bird for more details.